Independent & Group Thailand Tours Packages in 2019/2020 from Travelbag. Ask a selection of people what Thailand represents to them and you can almost guarantee that the replies will differ from person-to-person. Indeed, Thailand’s appeal lies in the fact it is a playground for even the most discerning traveller, whether your itinerary comprises of stretching out onto the soft-sand beach, exploring the varied landscape on foot or immersing yourself in the Bangkok city metropolis. Once considered something of a ‘best-kept secret’ and revered by backpackers from around the world, Thailand’s growing reputation has helped it evolve into a dream tour destination, where an adventure awaits you at every turn. 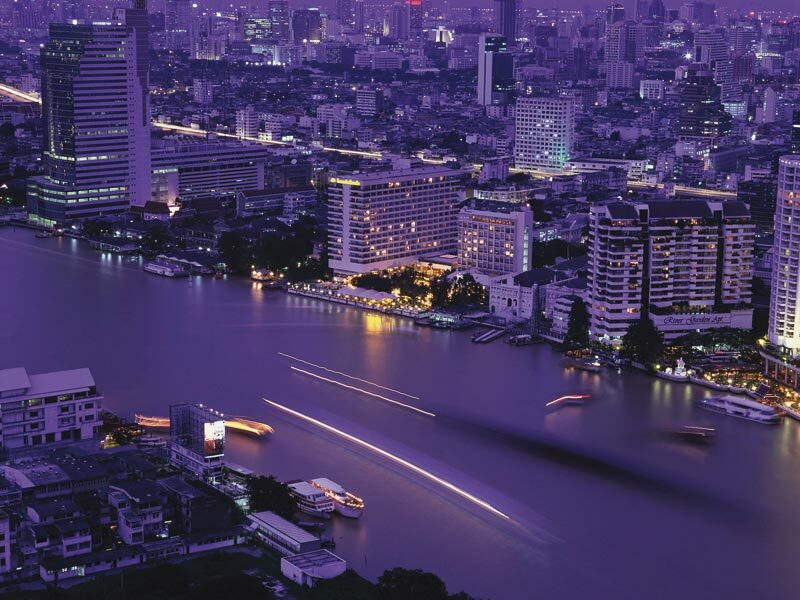 For many, the adventure begins in the country’s capital city Bangkok, an almost mesmerising place that is just as lively at 3am as it is at 10am or 5pm. From people busily getting from A to B, tuk-tuks weaving through traffic and bright lights at every turn, Bangkok is a sprawling hive of activity. 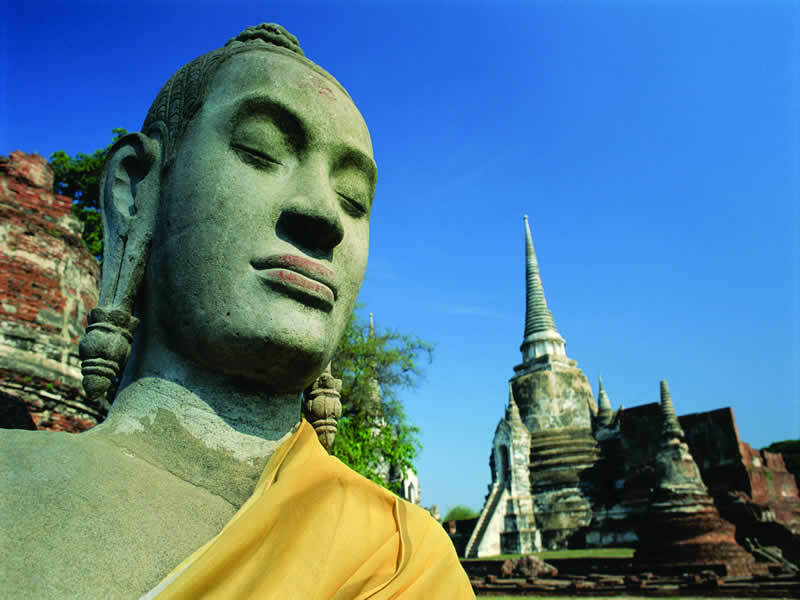 Most Thailand tours begin in the sprawling capital city of Bangkok. Radiating an infectious sense of energy, Bangkok stimulates the senses, your eyes attracted to a palate of colours, your ears pricked by the almost indecipherable sounds of activity and your nose twitching at the aromas of the city’s fabulous cuisine. A city that isn’t afraid to be bold, what Bangkok is never anything less than exciting, its vast shopping malls and trendy bars placed alongside shrines, temples and the extraordinary Grand Palace, home to Thailand’s Royal Family. Depending on your reaction to Bangkok – whether you need to relax somewhere altogether quieter, or alternatively take the party to the beach – will determine where your Thailand jaunt will take you next. Choice is certainly not an issue, Thailand’s coastline dotted with towns, readily welcoming tourists to sample the country’s charming interpretation of hospitality. 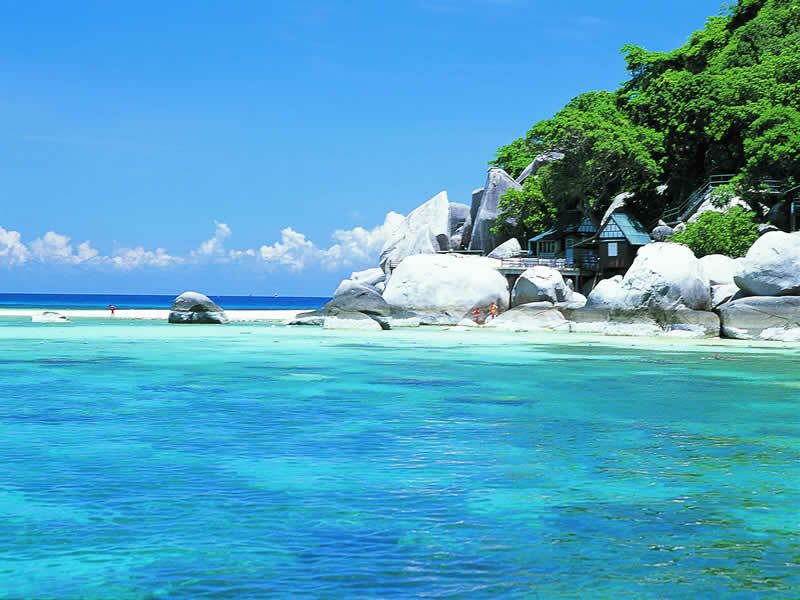 Thailand has many bywords for beachside beauty, the likes of Phuket, Koh Samui, Pattaya, Hua Hin, Phi Phi and Krabi creating a conundrum for those keen to the pick correctly. 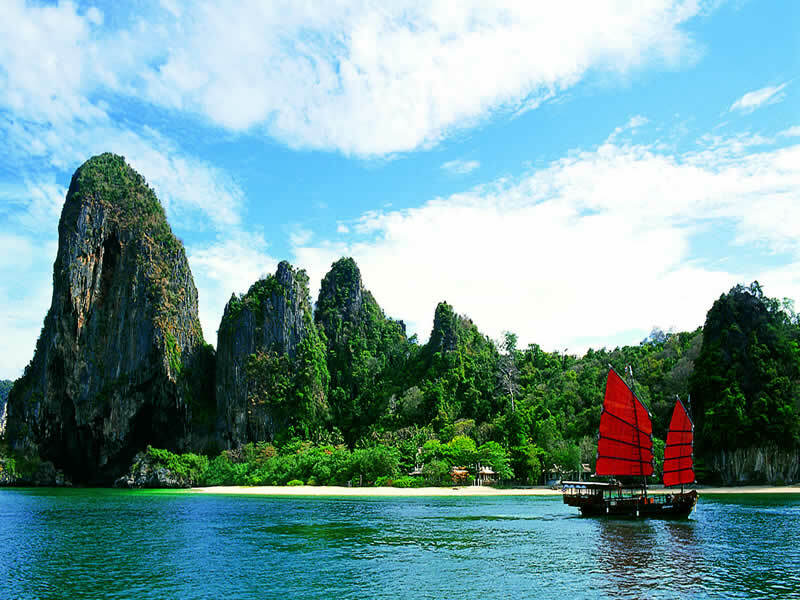 By opting for a Travelbag tour, you can be sure to visit the very best of Thailand’s coastal jewels. In essence, each of Thailand’s reputed ‘hotspots’ are nothing short of exceptional, the quality of the beaches and the epic scenery, painted by the turquoise hues of the waters and the emerald flourish of the landscape, in evidence almost everywhere you go. 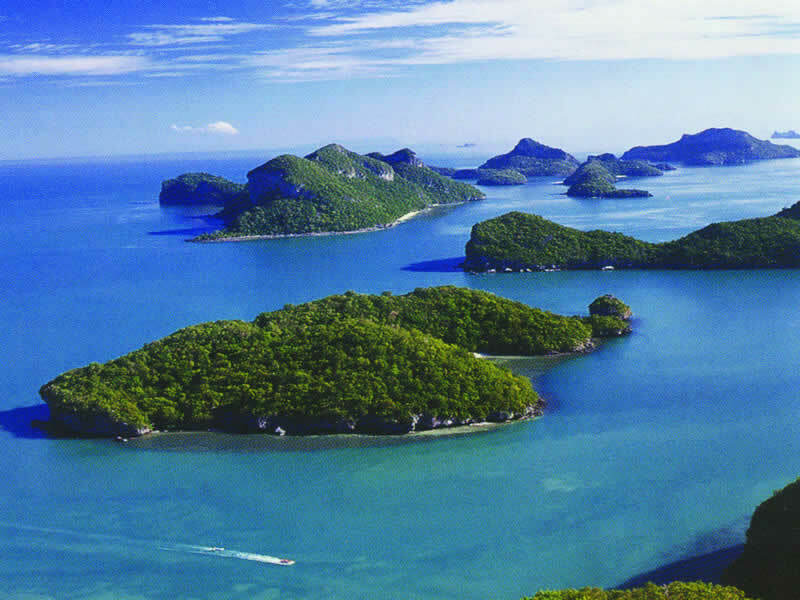 Phuket probably stands as Thailand’s foremost holiday attraction, its natural magnificence ensuring it is considered one of the world’s premier holiday destinations. Technically a large island, though a highway connects it to mainland Thailand, Phuket remains fairly intimate and it’s not hard to find a secluded corner from which to appreciate why it is so well-regarded. Patong Beach serves as the main tourist area of Phuket with hotels and bars stretching along the beachside, but travelling further around the coast will bring you to more secluded areas, including Khao Lak, which, though sedate, more successfully captures the essence of this stunning piece of the world. The same could be said for Koh Samui, which sits offshore in the Gulf of Thailand, proving a seductive and intimate place to while your hours away. Indeed, those seeking relaxation will find favour with Phi Phi Island, Koh Lanta and Hua Hin, the latter even receiving a royal seal of approval as the venue of choice for the presiding monarch. For those seeking a destination which moves to a livelier beat, Pattaya has developed into a city known for its social scene, while the world-famously hedonistic Full Moon Party, which attracts around 30,000 revellers every full moon evening, occurs on the island of Pha Ngan. Thailand isn’t exclusively about beaches and parties, however, and a willingness to delve deeper into less obvious inland destinations opens up a host of equally captivating discoveries. 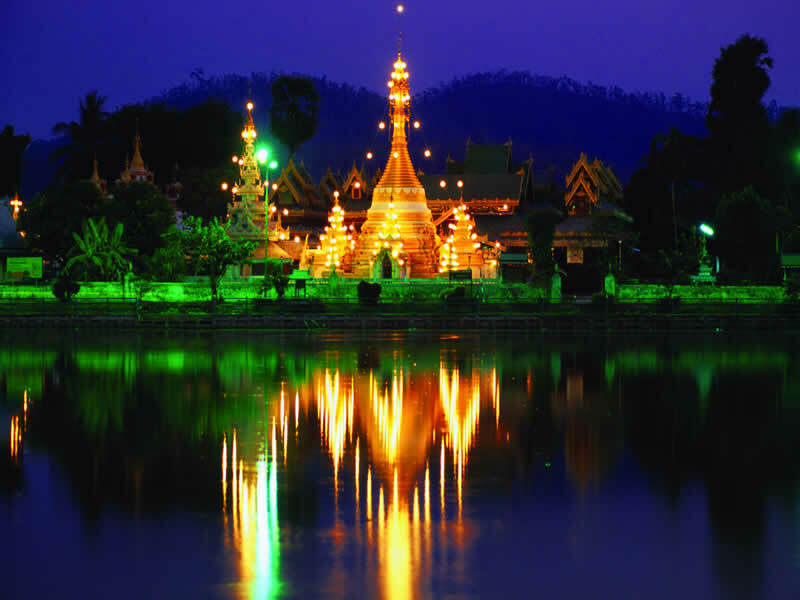 Arguably the most culturally significant destination in Thailand – and certainly the most historic - the northern city of Chiang Mai is the site of Thailand’s first capital 700 years ago, and is haven for historians, while the mountainous scenery presents another argument as to why it is considered one of the world’s most beautiful lands. Closer to Bangkok is the stunning Khao Yai National Park, home to majestic waterfalls and native wildlife - including elephants -, its proximity to the capital city making it ideal for a refreshing day trip. No matter where you go in Thailand, there is no escaping the country’s unique culture, where customs and traditions continue to shape it in the modern day. 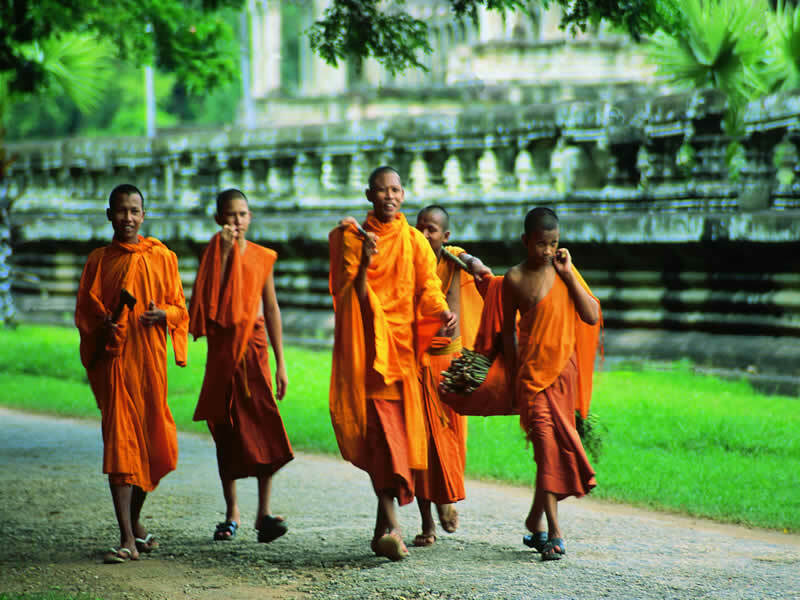 Almost 95% of Thailand is Buddhist, an influence that can be seen with temples, statues and monasteries apparent throughout the country, each intricately designed and considered sacred to the population. If the religion is one element of the culture to appreciate from afar, then Thailand’s culture of food is most certainly worth immersing yourself in. Thai cuisine is considered a favourite dish for many across the world, but the finest renditions of its signature dishes can only be found in Thailand, with chefs blending the fundamental elements of sweet, spicy, sour and salty to create some mouth-watering creations, whether you’re dining out or grabbing a snack from a street vendor. Indeed, while the stunning beaches and the temptation of the party lifestyle lures many to Thailand’s shores, the people, the culture and the history prompts many to explore further, a voyage of discovery that ensures everyone comes home with their own personal experience. Spend three nights in the Thai capital at a hotel of your choice and then head out to explore everything that Bangkok has to offer. Visit stunning temples and marvel at impressive architecture, whilst you’ll also be able to head to the ancient capital of Ayuthaya. 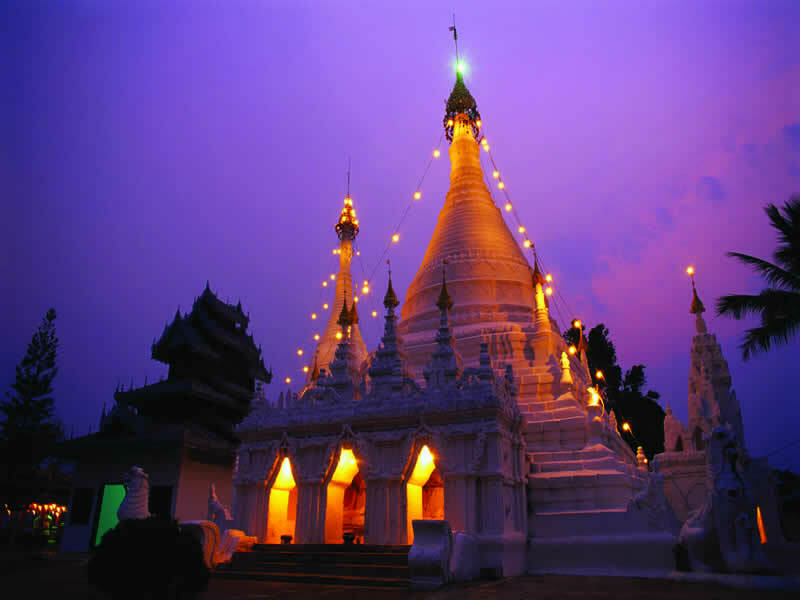 The gateway to the north, Chiang Mai is a popular destination for those who want to explore the delights of Thailand, providing the chance to explore ancient Buddhist temples, popular night markets and jungle landscapes. You’ll enjoy all that and more besides on this three day excursion, which includes a day where you can close to nature. 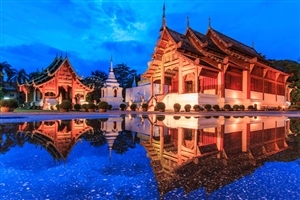 See where the borders of Thailand, Myanmar and Laos meet on this fabulous 5 Day Golden Triangle Explorer tour, based in the stunning Thai city of Chiang Mai. Witness Thailand at its most authentic as you interact with hill tribes, cross along rivers, marvel at the many temples and even visit a Jade factory, all the while savouring the spectacular scenery of this extraordinary region. 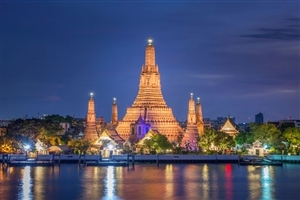 Enjoy the best that Thailand has to offer on this seven day tour that starts and ends in Bangkok, taking in some of the most beautiful and fascinating locations in the country. 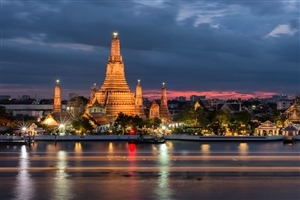 Cruise lazily through the floating markets set on Bangkok’s Chao Phraya River aboard a long-tail boat, sup an exotic cocktail as you overlook the sapphire stretches of the Andaman Sea, lumber through the Chiang Mai rainforest on elephant-back. Touring Thailand is a thrilling holiday experience. Best of all, with Travelbag you can experience everything Thailand has to offer in one magical tour, whether you crave the excitement of Bangkok, the beauty of Phuket or the culture of Chiang Mai. Our tours provide the value of arranged accommodation and transport, plus itineraries brimming with everything you could want from a Thailand holiday. Our Thailand tours include sightseeing adventures in Bangkok, unforgettable visits to an elephant camp in the north and the chance to see some of those magnificent Thailand beaches up close for yourself. 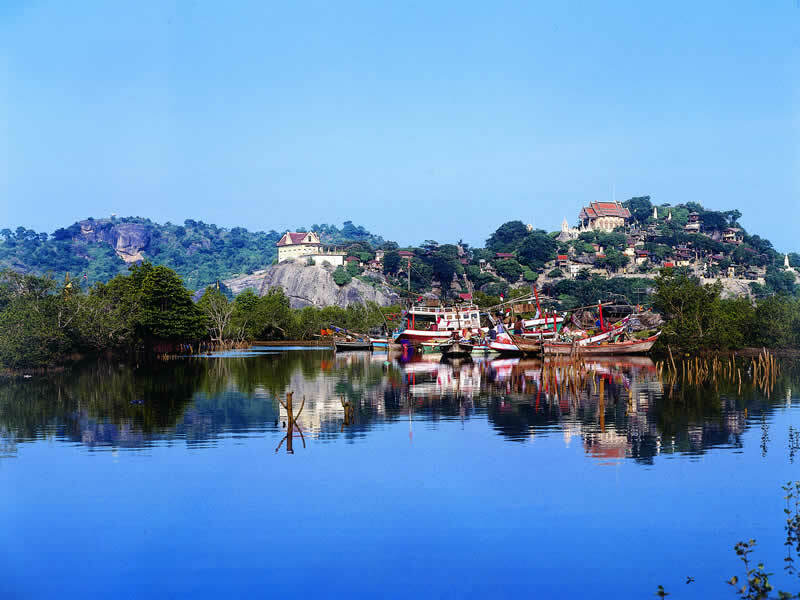 For more information about Travelbag’s excellent range of Thailand tours, call 0203 944 2201 to chat with one of our knowledgeable travel experts about creating the perfect Thailand holiday for you. Nothing at all! 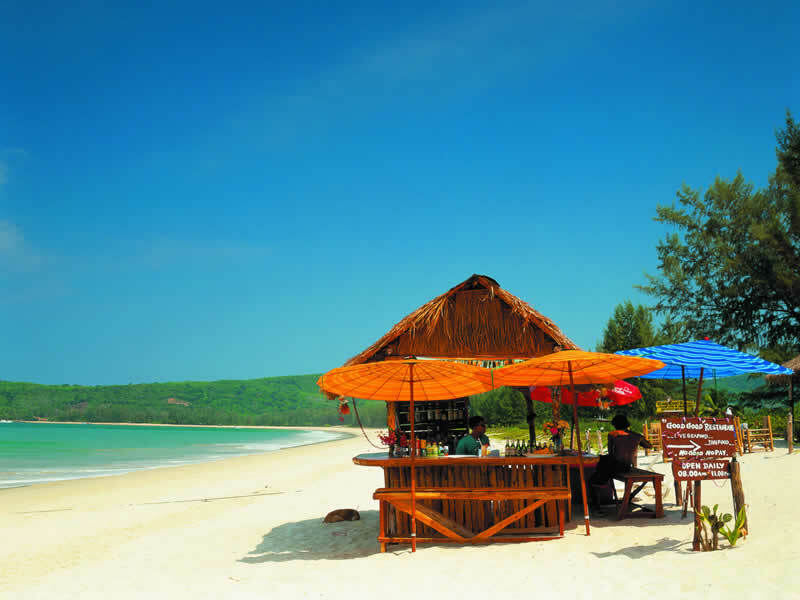 - Lay back, relax and appreciate any one of Thailand’s glorious white sand beaches. 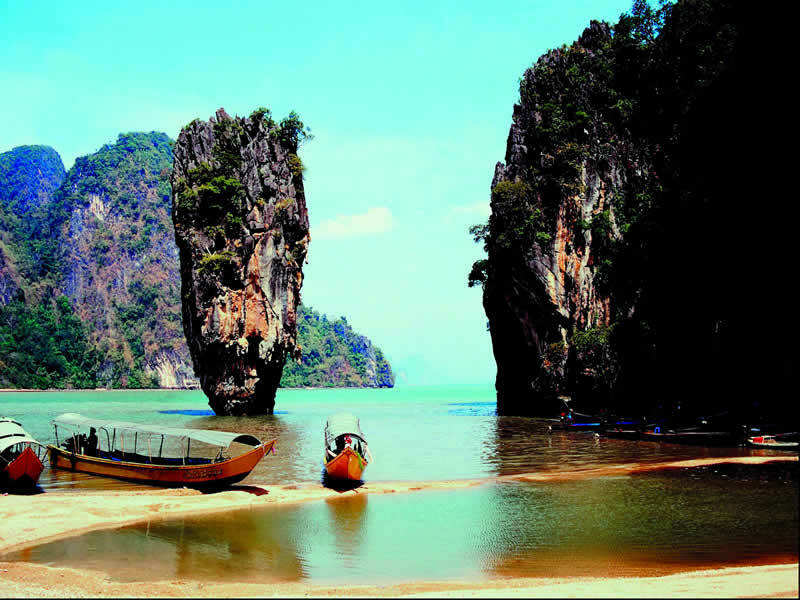 From Phuket to Pattaya, Koh Samui to Krabi, Travelbag’s tours offer a magnificent selection of dream locations. 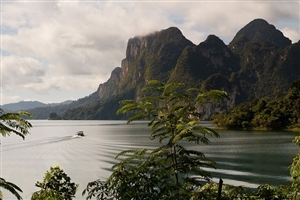 The hills are alive… - Venture inland to Thailand’s lush northern regions with a refreshing Travelbag tour, where you can visit the cultural city of Chiang Mai, view the border with Burma and Laos, and trek into the rolling hills. Relax, rejuvenate, refresh - Recharge those batteries in the country that invented the famed Thai massage with a visit to one of its blissful spas. Let a skilled masseuse work their magic as you unwind with nothing more than gentle waves to distract you. No cutlery allowed - Sit down to a unique dining experience in Chiang Mai with a traditional Khantoke dinner, where you will dine with your fingers and be entertained by elegant dancers. Walk with the animals - Travelbag offers many tours that include the opportunity to visit an elephant sanctuary, where you will meet, feed, ride and even bathe with the magnificent creatures. 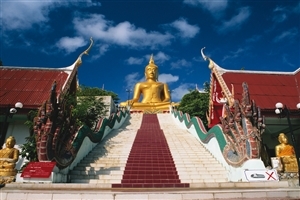 Trace Thailand’s history - Thailand is brimming with history and culture, so a tour of its stunning temples in Bangkok and Chiang Mai are a perfect way to discover more about this wonderfully historic nation. Tee off in paradise - Play a round of golf in some astonishing locations, including Phuket and Koh Samui, on some of the world’s best internationally recognised courses. Dazzled by culture - Find yourself squinting in awe at Bangkok’s gold-tinged Grand Palace, the official residence of the Thai Royal Family for more than three centuries. Happy New Year! - Celebrate the New Year like never before by soaking one another with buckets of water during Thailand’s exhilarating Songkran Festival in May. The gateway to Thailand’s beautiful coastal resorts, Bangkok deserves more than just a fleeting visit, the sheer energy and excitement of its bustling streets proving a thrill-a-minute for intrepid explorers. The palm-fringed tropical paradise island of Koh Samui tugs at the heart-strings with its breathtaking pearlescent sands alongside the warm, crystalline waters of Thailand’s Gulf. A favourite haunt of the Thai Royal Family, Hua Hin and nearby Cha Am is Thailand’s premier resort region, offering spectacular tropical beauty and lavish resorts for your pleasure. Thailand’s enduring holiday resort, the island of Phuket appeals with its white sandy beaches, secluded coves and long sweeping bays. Travelbag’s tours offer visits to Phuket’s best locations at Patong, Karon and Kata. Rolling green hills, majestic temples and an authentic ambience, Chiang Mai and Northern Thailand are perfect for those seeking a tour into the country’s enigmatic countryside. Located just two hours from Bangkok, Pattaya is one of Thailand’s most popular beach resorts, famous for its exciting nightlife, tempting choice of watersports and, of course, it’s sublime sands. Pattaya is a particular favourite for a family holiday.